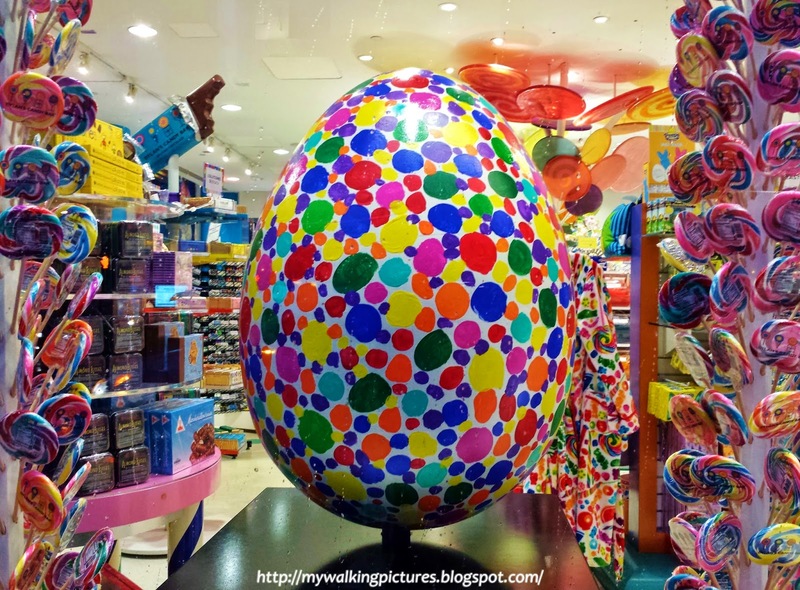 This is a continuation of my Big Egg Hunt adventures. Part 1 covered Days 1 to 5 of the egg hunt, so I'll start this blog with Day 6, which was a Sunday. 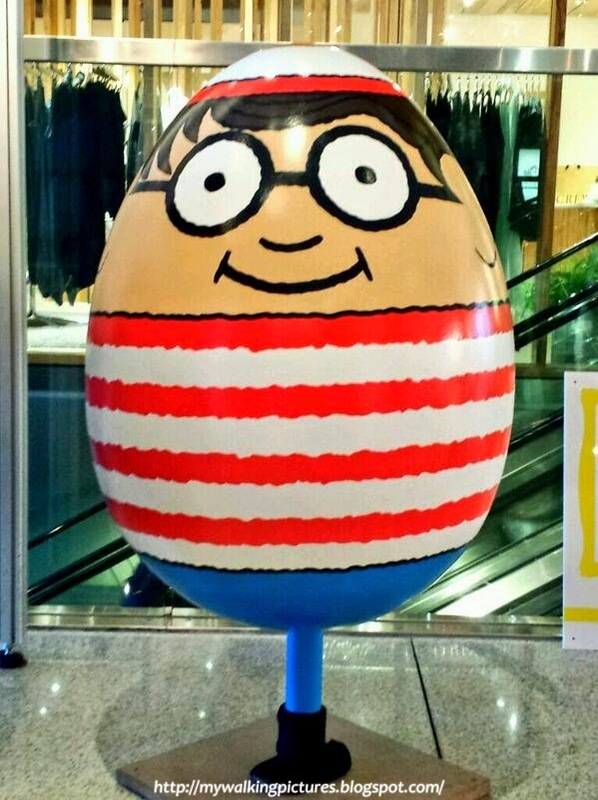 Good thing I kept up with the Big Egg Hunt on social media so I knew where to look for Egg 9 or the Waldo egg. Egg 9 by Martin Handford is the one egg hidden in plain sight in a different place each day. 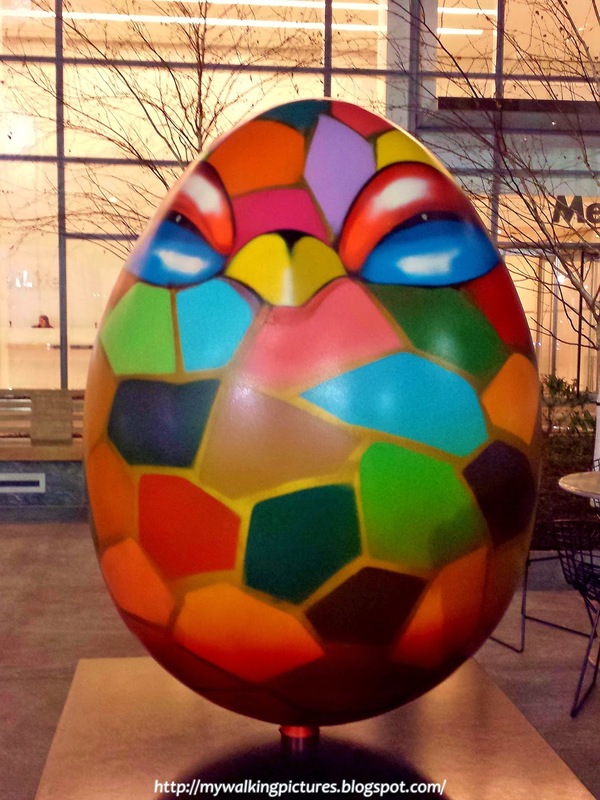 That Sunday he was at the Time Warner Center, in the area were the miniature eggs were displayed. Great to see you, Waldo! 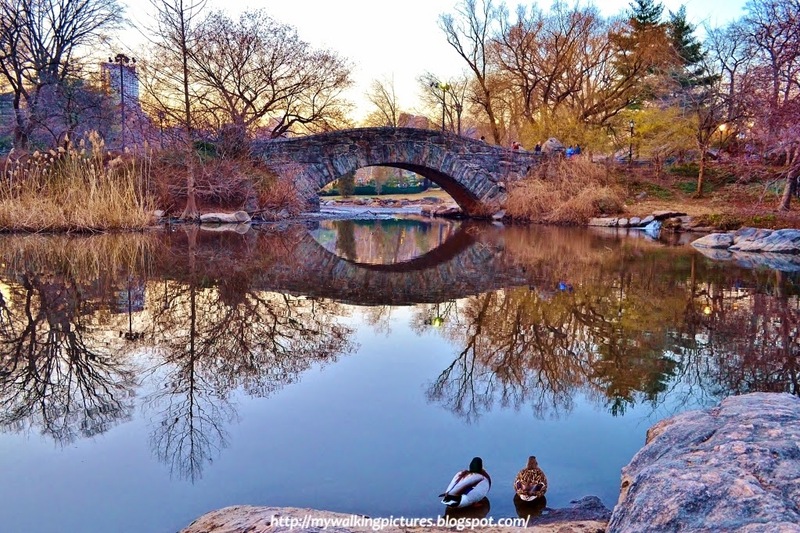 After checking with Waldo, I proceeded with my usual weekend walk in Central Park. The Pond area was starting to pop up with spring colors! And the turtles were out at The Lake enjoying the sunny day. And when I arrived by The Boathouse, guess what I saw? A cute little mouse on top of Egg 117! I ended my walk in the park to walk along the Upper East Side section of Madison Avenue where a lot of stores house eggs. One of these stores is Cynthia Rowley. Can you spot Egg 129? As it was a Sunday, some of the places with eggs were closed, like the Gagosian gallery which housed three eggs. I just had to content myself with a picture taken from the door. And the show window of Ladurée, which housed Isabelle Arpagian's Egg 85, was also closed when I passed by. Luckily, the nice staff opened the window cover so I can take a shot of the Empress II nestled among the baked goodies. I went back to Madison Avenue on Day 7 as there were still some eggs I haven't cracked. This was Egg 107, if you look closely, you'll see the material used in the design is connected to its hiding place. 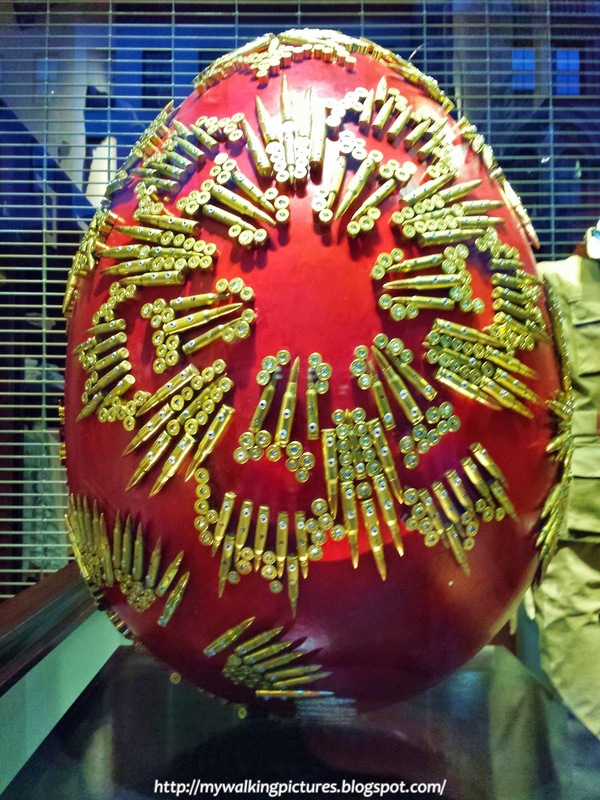 The egg was displayed in the show window of Beretta and it is adorned with bullets! 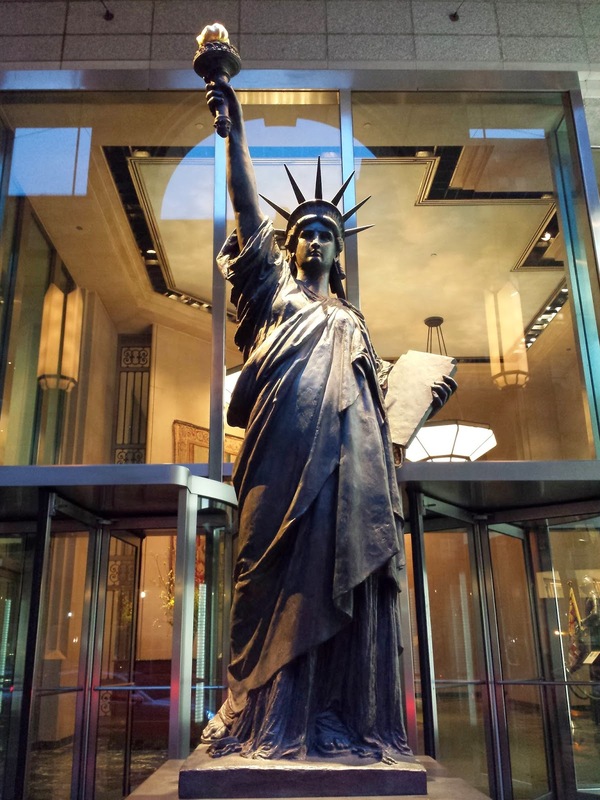 I also passed by this sculpture and its accompanying plaque partly read that this sculpture was cast in bronze from the original plaster sculpture by Frederic- Auguste Bartholdi and was enlarged 16 times by the artist to create the Statue of Liberty in the New York Harbor. Then it's on to the colorful Egg 92 which blended very well with the candies inside Dylan's Candy Bar. The rain that night made the Golden Lincoln Cent Egg shine all the more. Jane Morgan's Egg 6 utilized the newly minted Lincoln cent. 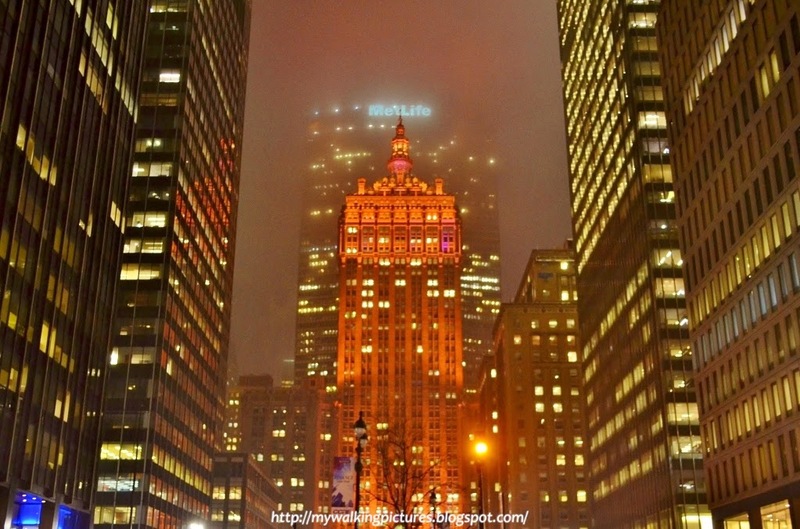 A few blocks away, the Helmsley Building was reflecting a similar copper hue in the rain. At week 2 of the egg hunt, there were still some eggs not cracked. These were mostly the 24 eggs made by public school students participating in Studio programs. The eggs were hosted by NYRP's community gardens. On Day 8, I went to the NYRP community garden in Queens to crack Egg 219. I was the ninth person to crack the egg and that earned me a place in the egg's Egg Cracker Honor Roll. Cool! Egg 219 looked cool, too. I love strawberries! I went to Manhattan afterwards as there were still some eggs in hidden in midtown that I haven't cracked yet. Inside a building on Third Avenue near 47th Street were three eggs, one of them was Egg 104, one of my faves. 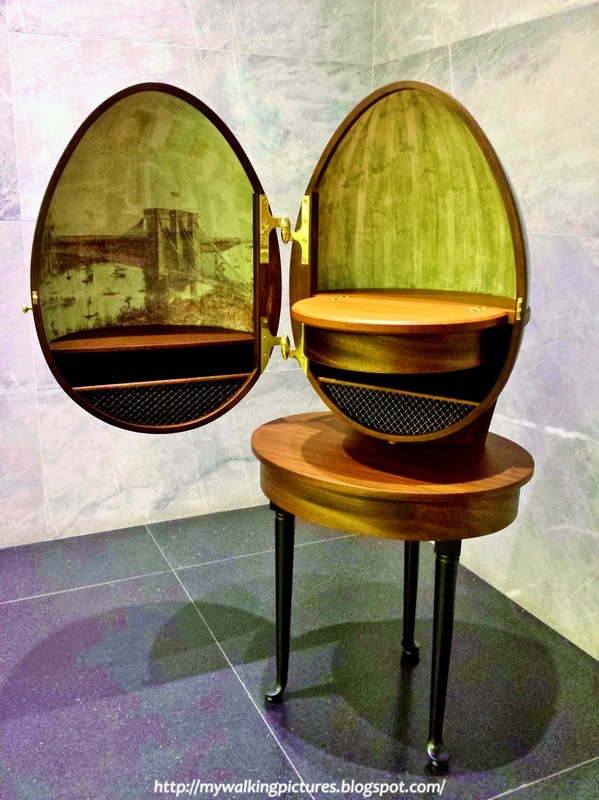 Made by Brooklyn Design and Fabrication, the egg looked like a dresser. 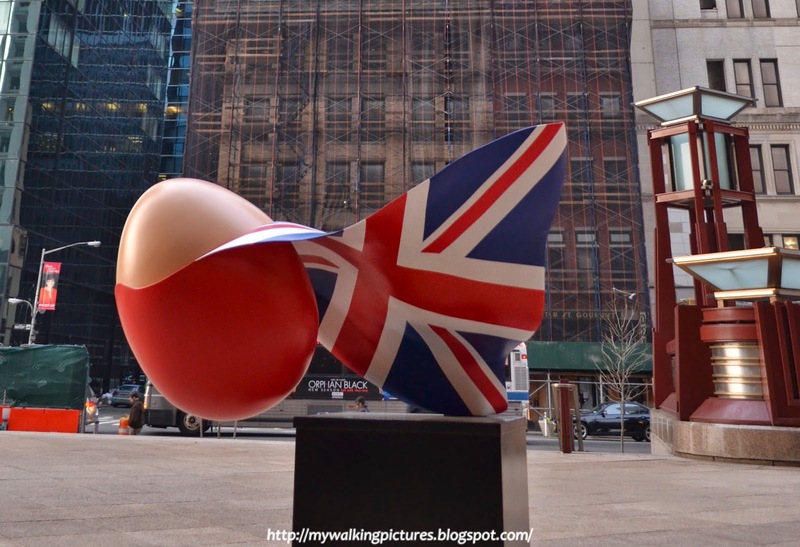 I then made my way to Fifth Avenue to take a picture of Egg 271 by Jeff Koons. When I was in Rockefeller Center the first day of the hunt, they were still setting up this egg. The egg broke records as the most expensive work sold on Paddle 8, it has attracted over $420,000 in online bids for the auction. A little further on 43rd Street was Egg 78. It was inside its case just along the sidewalk and I missed it the first time I passed by. I walked by and didn't notice the egg until I crossed the street and saw it. Literally hidden in plain sight! 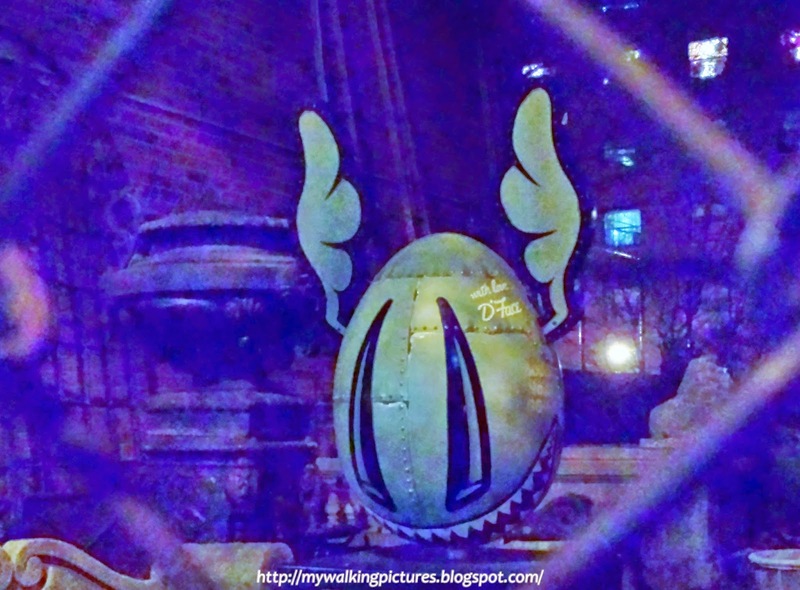 Then on 41st Street was Egg 280 by spray paint artist Chor Boogie. The design echoed the artist's work at the building very near where the egg was hidden. 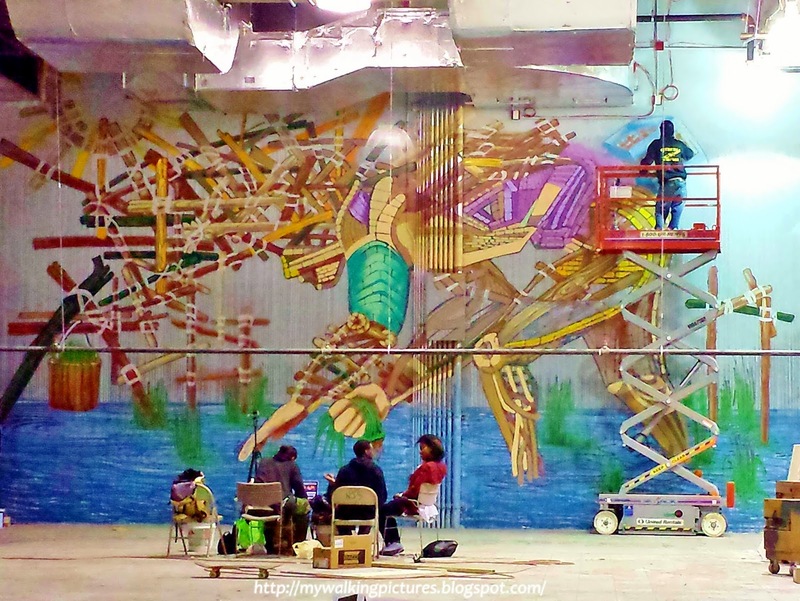 That artwork by Chor Boogie is part of Art Battles which can also be seen at 5 Bryant Park. When I passed by that night, Don Rimx was working on another wall. The following day I tried to finish cracking the eggs in midtown Manhattan. 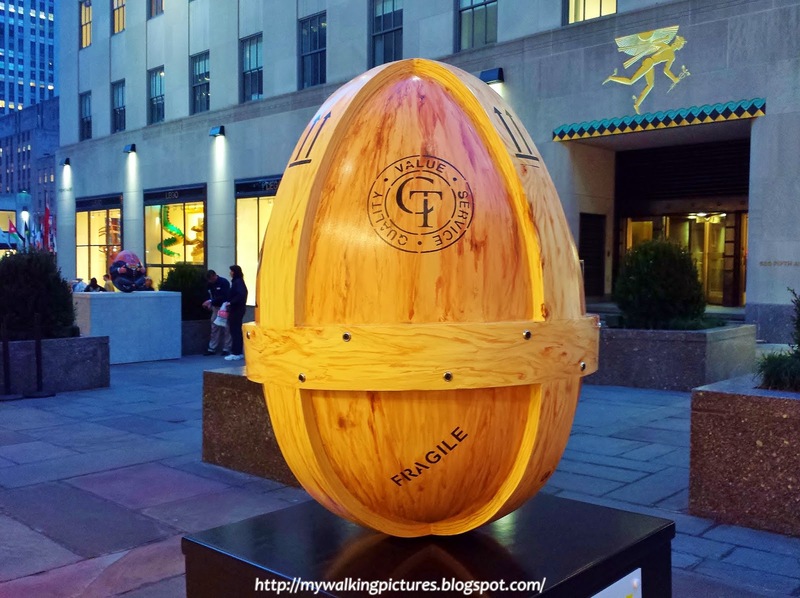 First stop was the Empire State Building which housed two egg, one of which is Egg 23, a replica of a real Faberge egg, the mosaic egg which is one of four Faberge eggs among the Royal Collection of Britain's Queen Elizabeth ll. Then it's on to several locations near the area, one of which is the Ace Hotel where I saw Egg 7 by Shantell Martin. 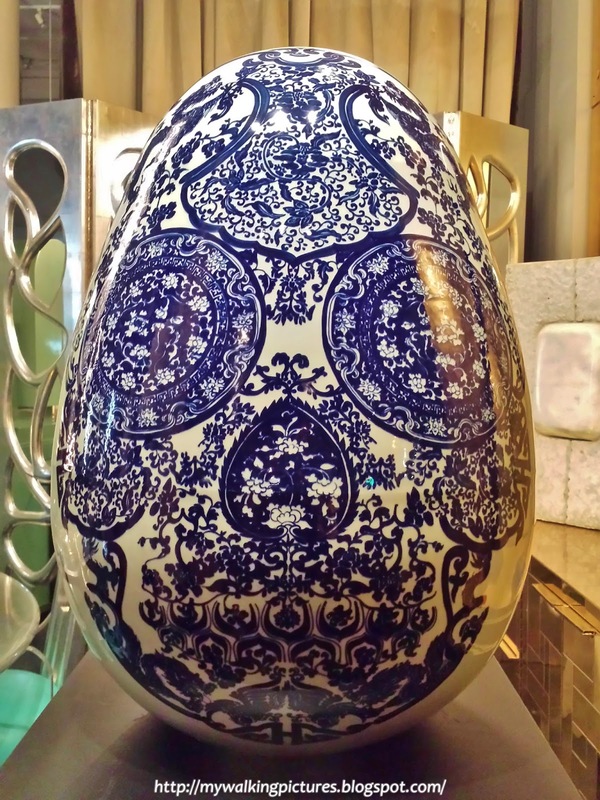 The egg came with a backdrop of the same design. It was just a short walking distance to Madison Square Park where there were a lot of eggs around the plaza area near the park. The park is in the Flatiron District and Egg 274 by Romero Britto was right in front of the iconic building. Also in the area was Egg 256 by Theo Rosenblum, it looked like an asteroid! I stayed in the park until night fell. 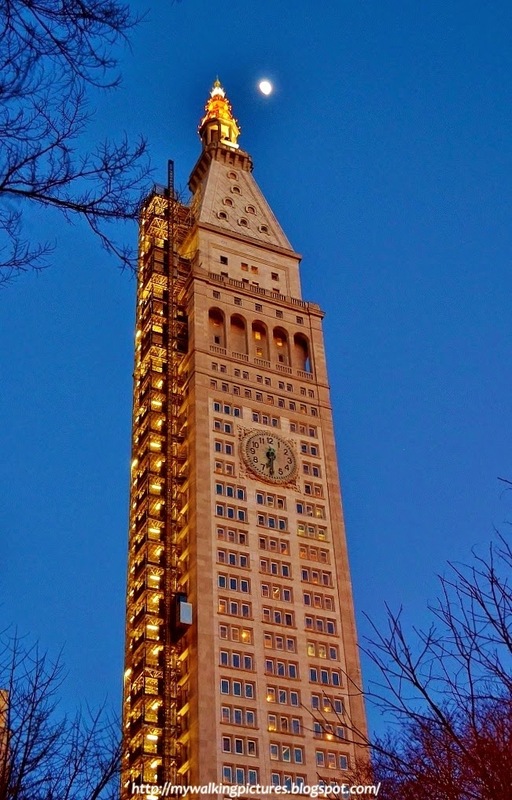 The Met Life Tower looked great in the early evening light. I was also able to visit Ivan Navarro's “This Land is Your Land”, the art installation in Madison Square Park featuring three 8-foot-tall water towers filled with neon lights and mirrors that reflect the words “me,” “we” and “bed” to visitors walking beneath them. It was on display until April 13. 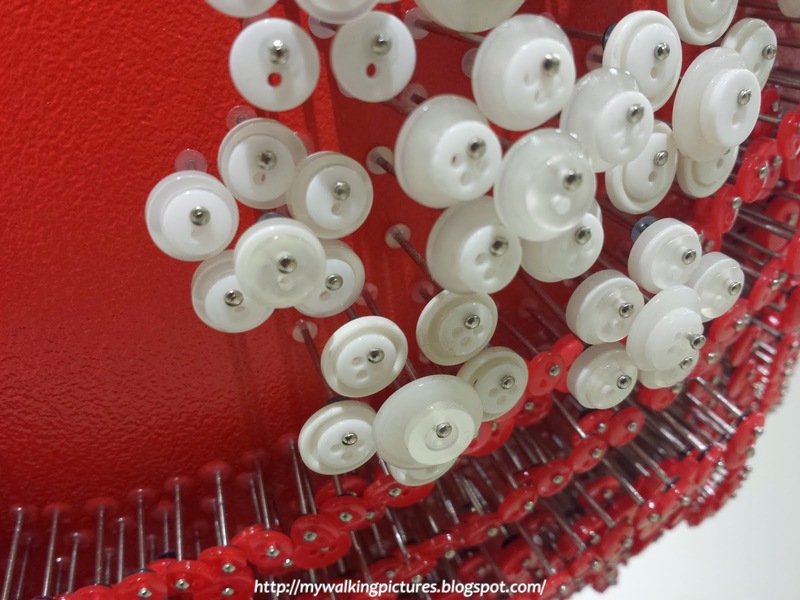 Remember I mentioned in my previous blog about meeting the artist of Egg 36? I knew that egg was in the Madison Square Park area so I looked for it. Taking Flight by Echo Design was inspired by the iconic butterfly print scarf of their 90th anniversary collection. Too bad it was already dark when I took the pic, but still the butterflies stood out. Beautiful! I then walked east towards Baruch College, there were three eggs in the plaza outside the library. One of them was Egg 57 or the iStorm. It looked like thousand of eyes were staring back at me. My last stop that night was at the Riverpark, a garden plaza overlooking FDR Drive. Egg 171 sure had one of the best views of the East River. I was in lower Manhattan on Day 10. 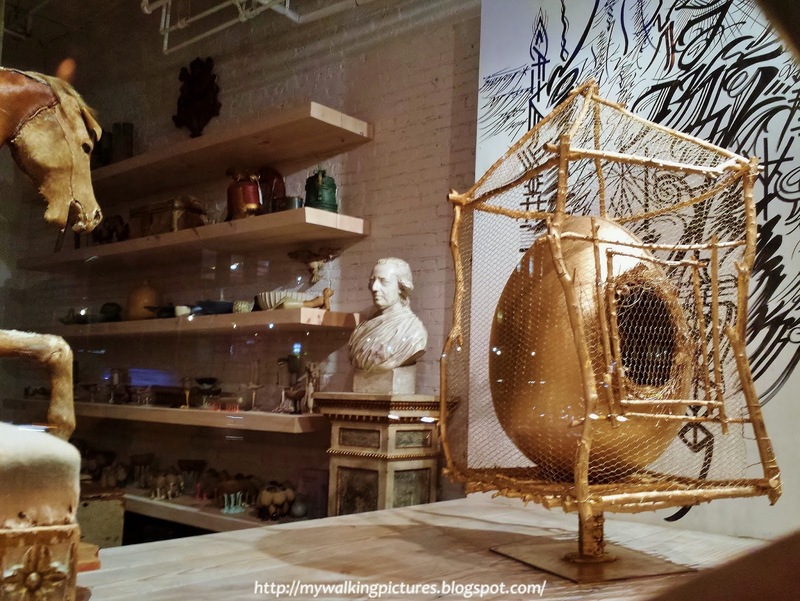 Egg 123 by Martha Stewart was inside a golden cage displayed inside a shop that was already closed when I passed by. Egg 247, Jackie Tsai's porcelain skull egg was displayed at the Todd Merrill Studio gallery, which was also closed when I passed by. This link shows the intricate process how this beautiful egg was made. Along Elizabeth Street were several eggs. British street artist D*Face made Egg 184 which was inside the Elizabeth Street Garden, too bad it was already dark when I took the pic. Day 11 was a Friday and that day my egg map crashed. I couldn't access the map which made it very hard to look for the eggs. What I did was went to the MacLaren shop in Soho as I knew there were four eggs inside the shop. Unfortunately the shop was already closed when I arrived so I took a photo of just one of the eggs facing the shop window. Since it was hard to hunt for the eggs without the egg map, I went home early. On my way home I passed by the landmarked Puck Building. 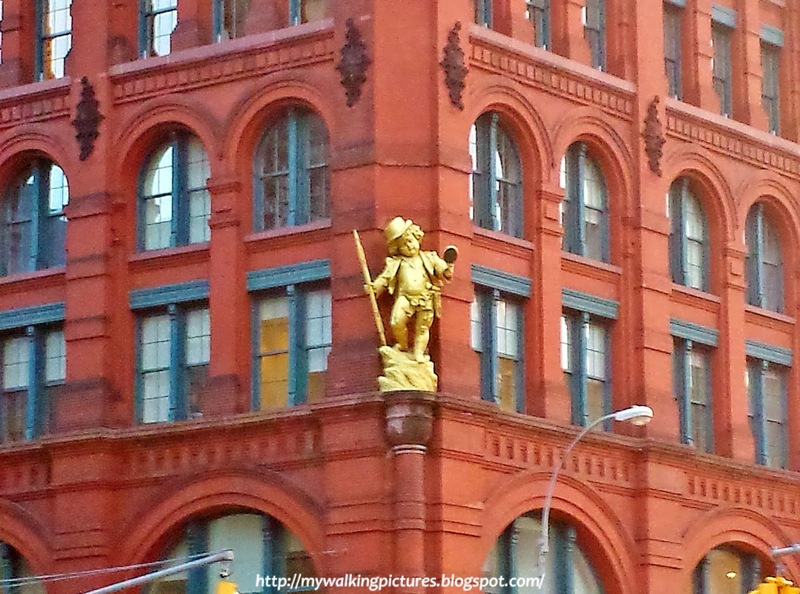 The building sports two gilded statues by sculptor Henry Baerer of Shakespeare's character Puck, from A Midsummer's Night Dream, one on the northeast corner at Houston and Mulberry, and one over the main entrance on Lafayette. This recaps the second part of my adventures in egg hunting. I'll try to finish the last part in the next few days. I should have been uploading my pics and updating this blog, instead, I've done nothing the first two weeks of April but go around the city during my free time and hunt for eggs. 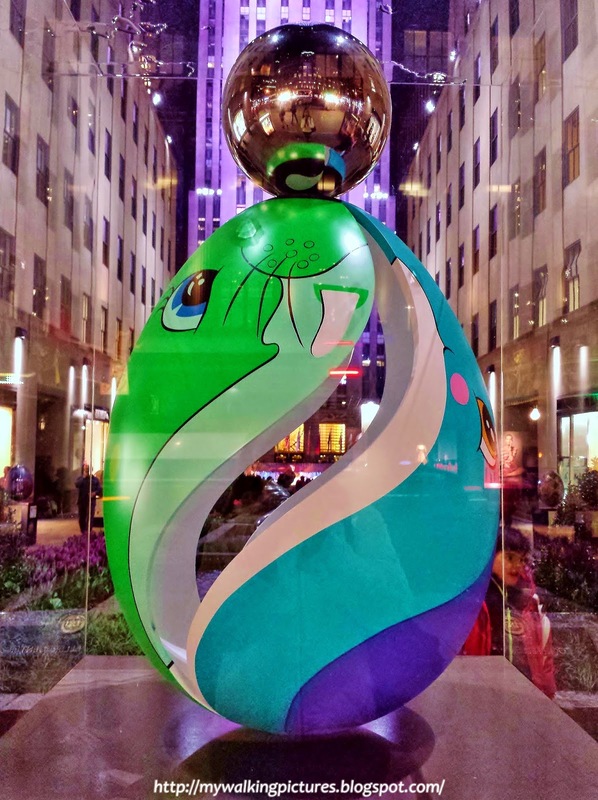 The Fabergé Big Egg Hunt, which started in London two years ago, has come to New York this year. The Fabergé brand name dates back to the mid-1800s and has been synonymous with lavish Easter eggs it created for the Russian Imperial family between 1885 and 1916. Now, more than a century later, it has sponsored an egg hunt, a fund raising effort which raises money by auctioning off the eggs. 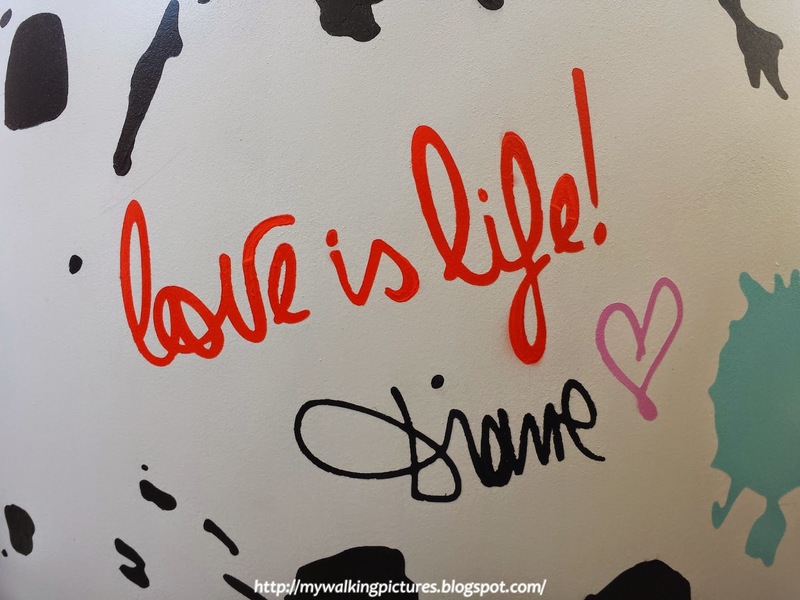 Once they are auctioned off, proceeds will go to benefit Elephant Family, which protects Asian elephants & their habitats, and Studio in a School, a program that brings visual arts to under-served New York City kids. 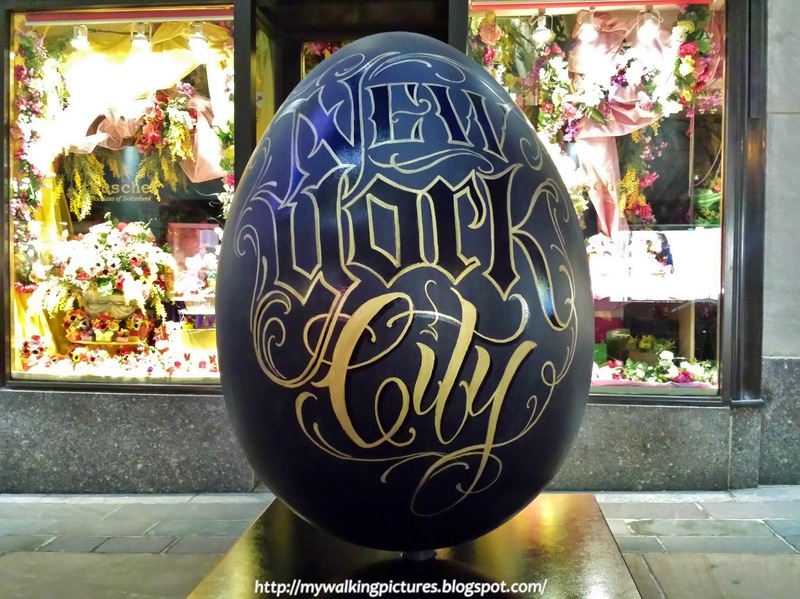 More than 250 eggs, about 2-1/2 foot high, were hidden around the five boroughs of New York City. 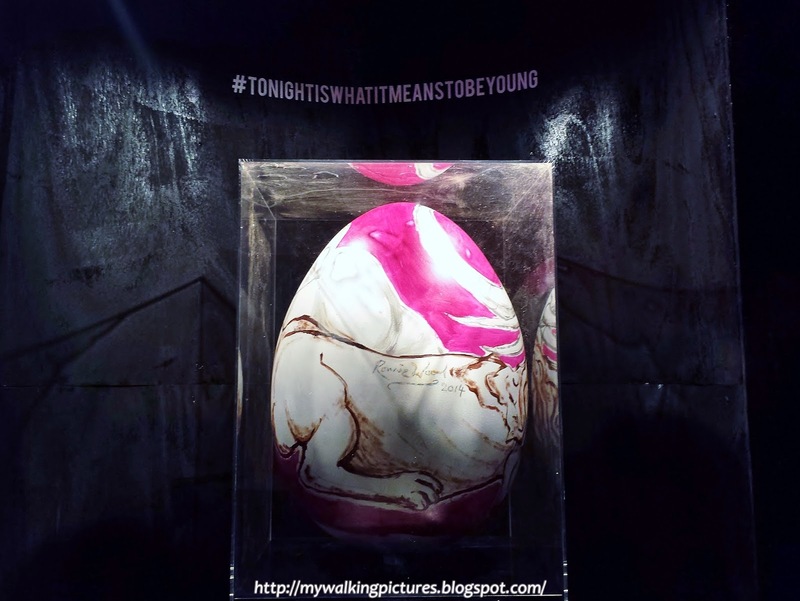 Each egg is designed by a different artist, some famous ones like Jeff Koons, Ralph Lauren, Diane von Fürstenberg, Carolina Herrera, and a lot more. 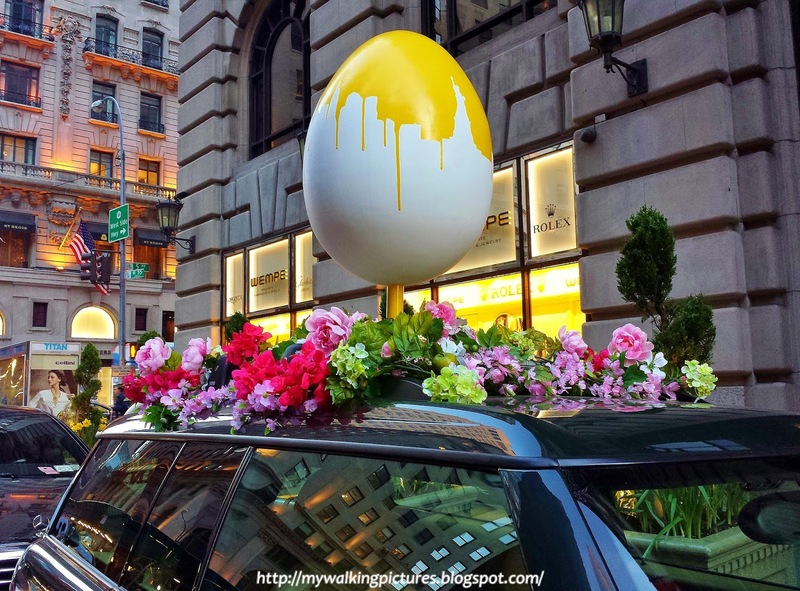 The New York egg hunt has a modern twist, participants in the hunt could download a mobile phone app to help in the hunt. 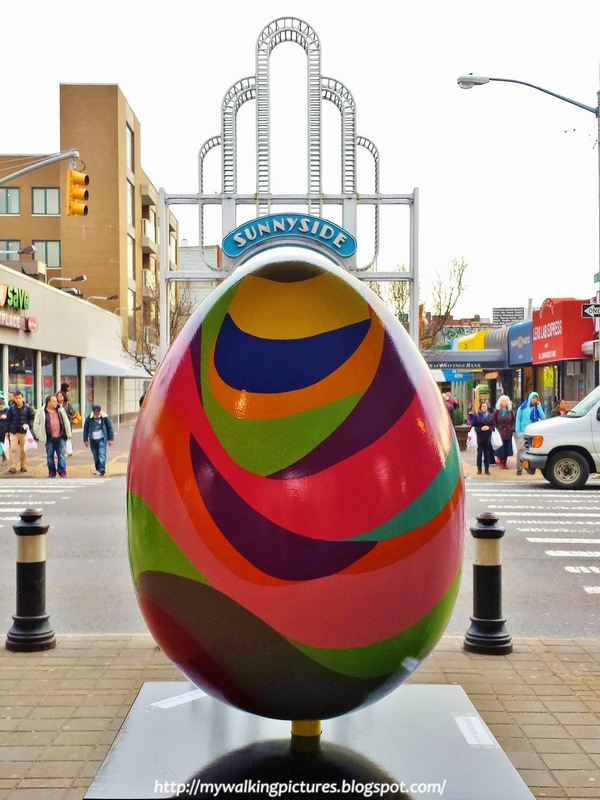 The app comes with an interactive egg map that shows people they're within a 20-foot range of one of the sculptures. 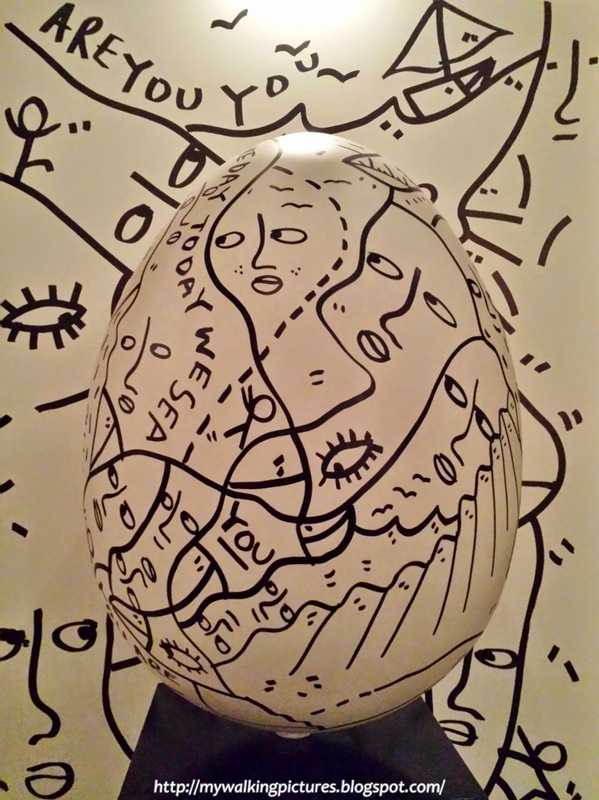 Once 10 people have check in at one egg, its location will be disclosed on the map, along with information about the artist, and participants could even bid on the egg directly through the app. Checking in at each egg will also enter people in a sweepstakes to win prizes from Faberge through the duration of the hunt. April 1, the start of the egg hunt, was a work day for me but I kept track of the eggs cracked through twitter. By noon, there were already a lot of eggs cracked since most were hidden in plain sight. 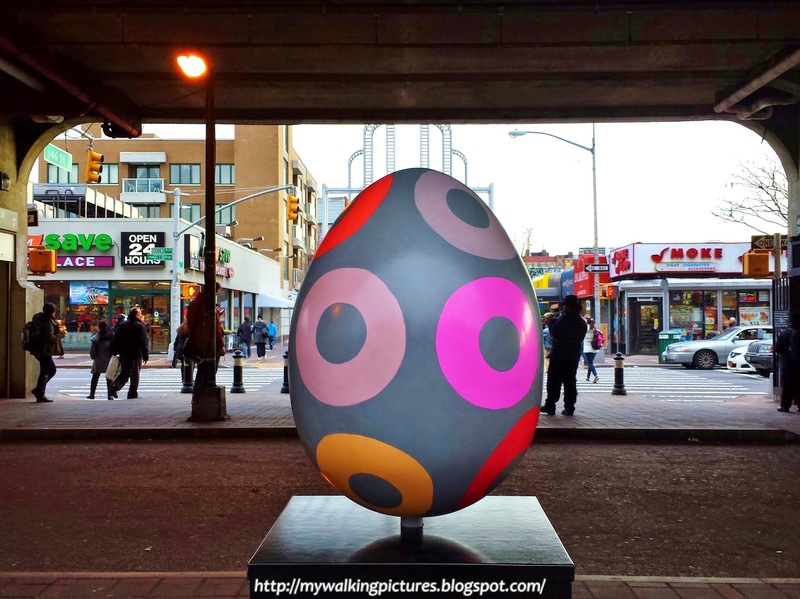 I've read there were three eggs under the Bliss St. station in Sunnyside, Queens, so after work I dropped by the area. Those were the first three eggs I saw, Egg 138 by Soonae Tark was the first egg in my basket. Directly opposite was Egg 270 by Sara Genn. Her Dad wrote this article as to how she decorated the egg. I then proceeded to Manhattan to crack as many eggs as I can. Got off at Grand Central Terminal and put two eggs in my basket. 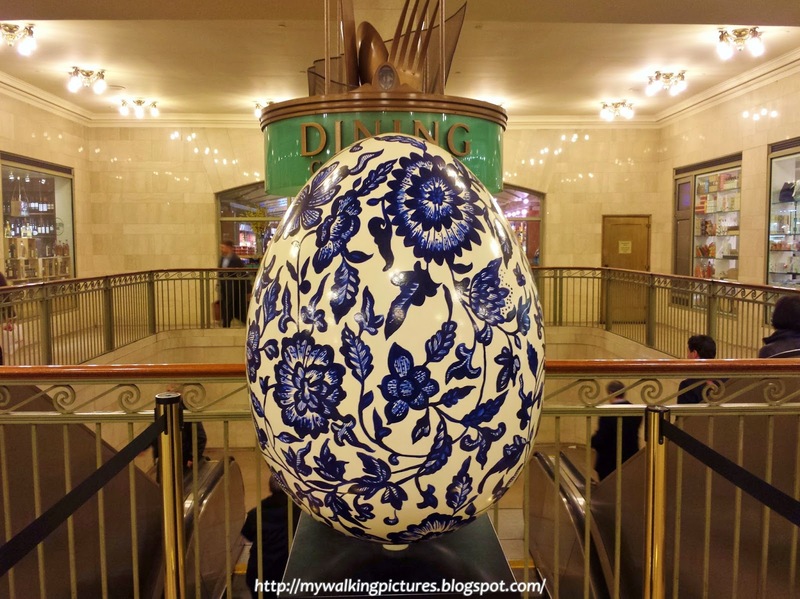 This pretty Egg 276 by ceramicist Molly Hatch was near the stairs going to the dining area of the terminal. 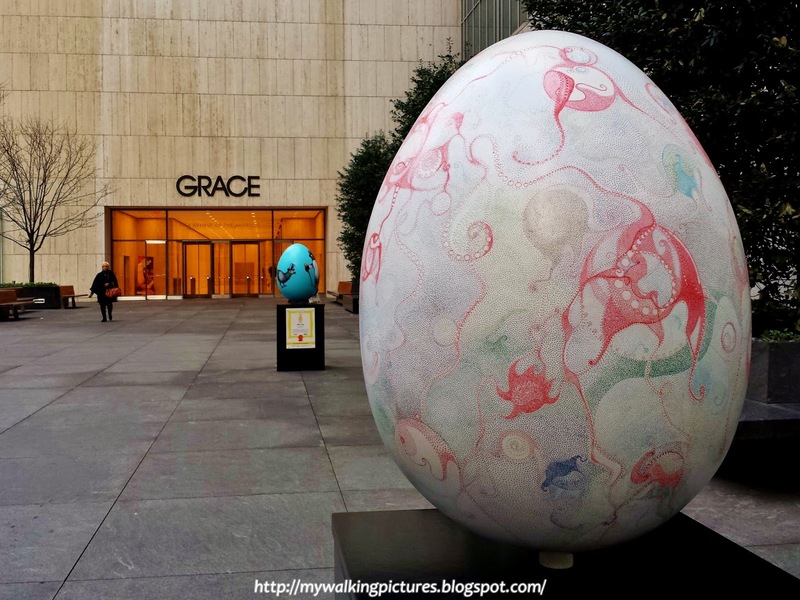 Then I walked west towards the Grace Building which displayed four eggs in its plaza. Among those in the group was Egg24, Rachel Goldsmith's Ova Obsessive. If you look closely you'll see how intricate the design is. It was just a couple of blocks to Rockefeller Center which was my next stop. There were more than a dozen eggs displayed around the Center's Channel Gardens. I love Egg 185, Nick Matic's homage to NYC. 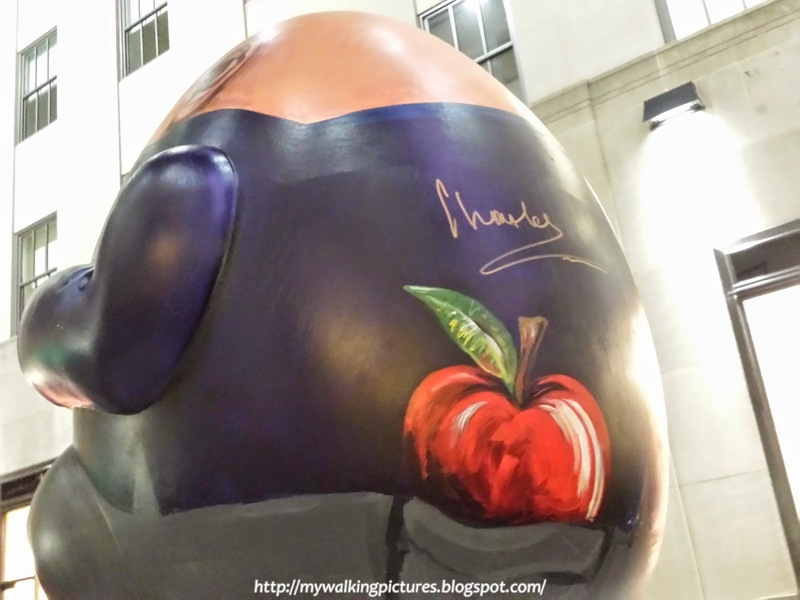 At the center of the Channel Gardens was Egg 119, the Royal Egg or Humpty Dumpty. This was commissioned by Mark Shand, the brother of the Duchess of Cornwall, who also headed one of the auction beneficiaries, the Elephant Family. Sadly, Mr. Shand died the other day in New York City, he fell and hit his head outside a hotel after the successful auction of the eggs. Rest in peace Mr. Shand. The Royal Egg was designed by The Prince's Drawing School, and signed by THR The Prince of Wales and the Duchess of Cornwall. Nearby was Egg 63 which Jason Polan illustrated for Warby Parker. This is a nice read about the egg. 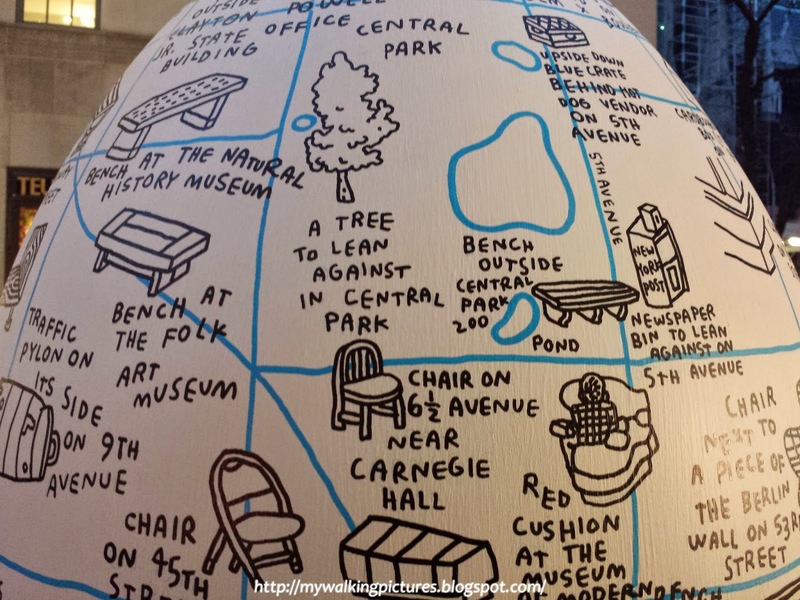 We teamed up with artist Jason Polan to create the ultimate piece of egg art—The Island of Manhattan: Map and Egg Edition (AKA The Best Spots to Sit and Read a Book in Manhattan). It’s a comprehensive guide to reading and eating egg sandwiches in the city. Art moving and storage company Cadogan Tate was in charge with moving and eventually shipping the eggs to their owners after the auction. Egg 282 reflected the care and packaging being done for the eggs. 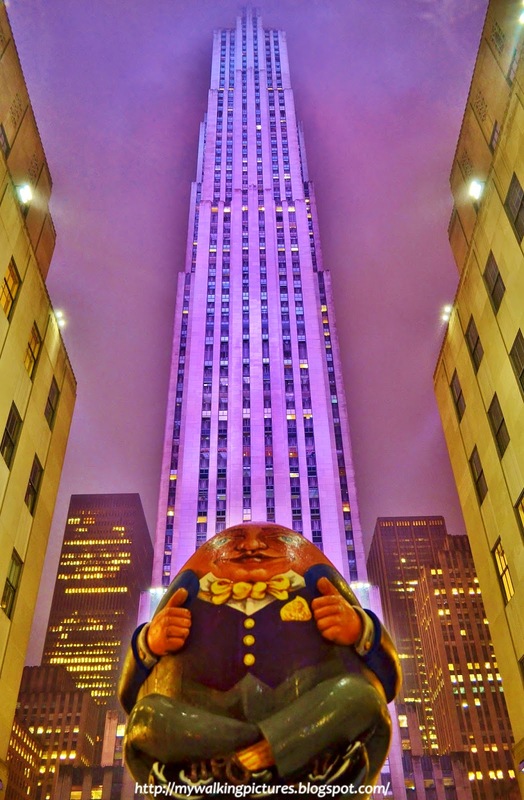 Also at the Rockefeller Center was Egg 175 designed by Diane von Fürstenberg. You can see her signature bright and bold. The following day after work, I dropped by The Peninsula Hotel to check Egg 126 by Marsha Meredith which showed the New York skyline and was displayed on top of a car. My next stop was Trump International over at Central Park West so I decided to pass through the park to get there. I'm happy I did, the Pond looked gorgeous at twilight! There were three eggs at Trump International, one was Egg 88 by graphic designer Minyan Huang. 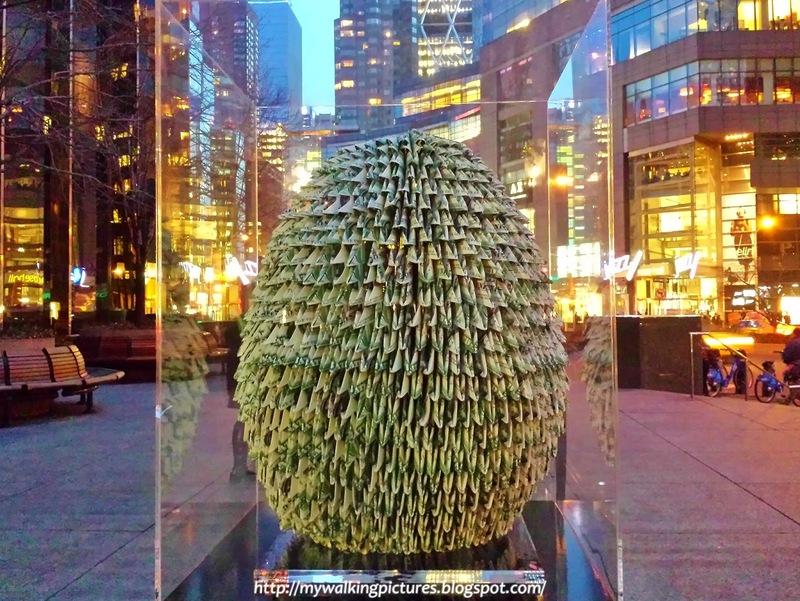 Appropriately named Nest Egg, the egg has an origami design made of dollar bills. No wonder it was enclosed in its glass case! 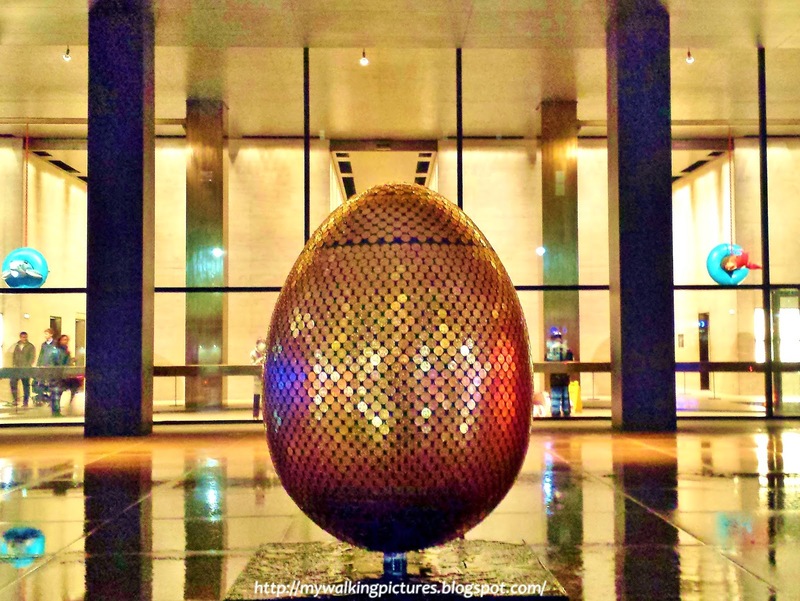 Just a couple of blocks away, the Time Warner Center is home to about a dozen eggs. 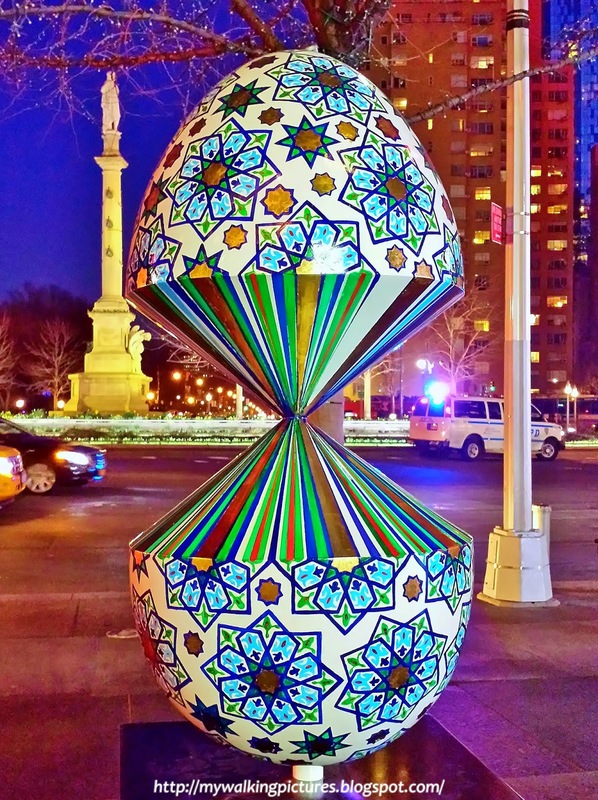 Outside the center, Faig Ahmed's Egg 222 is one unique egg. 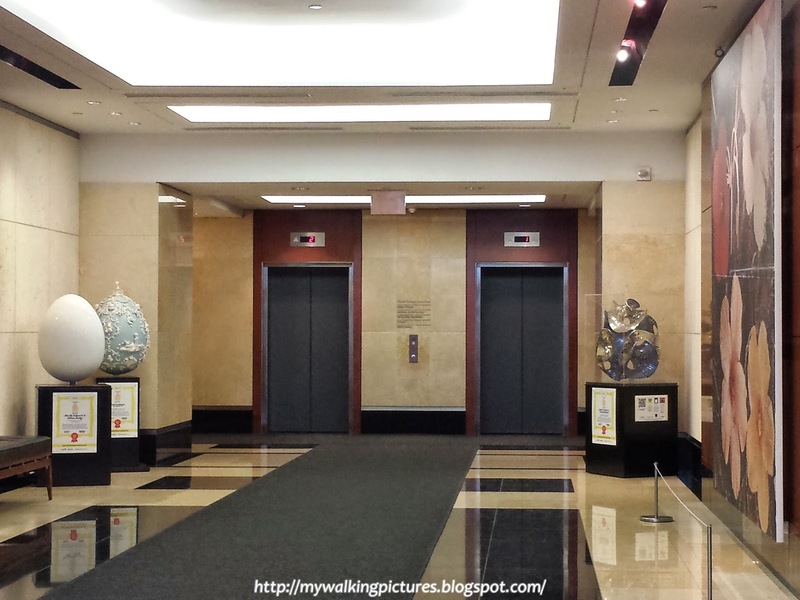 Inside, the eggs which flanked the elevators going down, were two of the most popular and uniquely designed eggs. One was Egg 37 by brick artist Nathan Sawaya. And who doesn't love a huggable egg-bunny? Egg 181 is by artist Ambika Conroy who wanted to show a humane, slower and loving way to produce angora products. At the second level of the Time Warner Center was a display area for smaller eggs which are for sale to the general public. A big salute to the artists for doing the scaled-down version of their designs, both in ostrich eggs and a mini version in resin. The ostrich egg at the center of the upper level in the pic below is a scaled-down version of Egg 140 by artist Alice Tams of Birds in Hats. 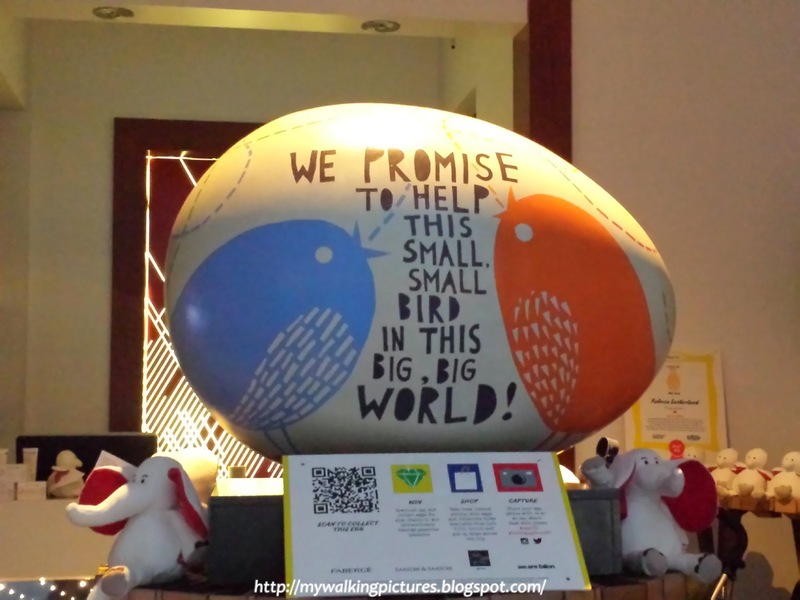 In one of the pics above, you can see the big Egg 140 together with Egg 24 displayed at the Grace Building Plaza. Standing 3.5" tall, the mini-eggs are hand-painted and made of a smooth and solid polyresin. They're perfect for a gift or souvenir of the hunt and at $45, are selling like hotcakes! Hey, I see Waldo! Day 3 of my egg hunting adventures took me to the Financial District. 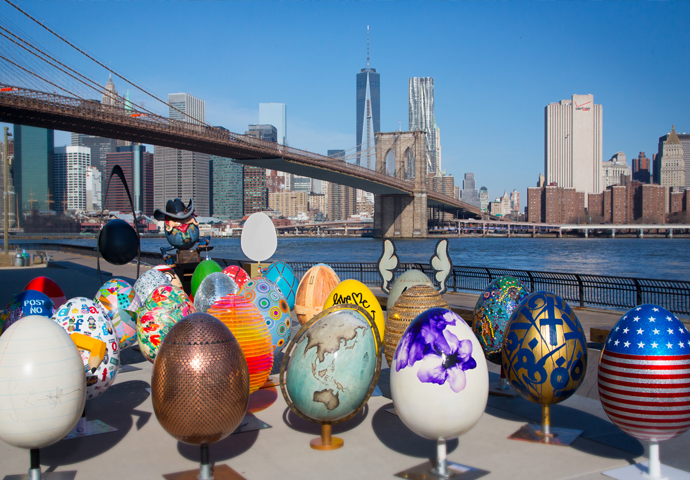 Five eggs were on display at One New York Plaza. At one end is Egg 110 or the Liberty Egg from 3D Eye. At the other end of the display area is Egg 118 or what looks to me like a flying egg, held only in place by its Union Jack cape. The Virgin Atlantic Flying Lady is by Mark Jump. During a walk last year, I came across The Elevated Acre, a pocket park on top of a garage overlooking the East River. It was a perfect place to hide Egg 54 by Ed McGowin. The info on the egg states it was hidden by Julia Roberts, she sure knew how to hide it! 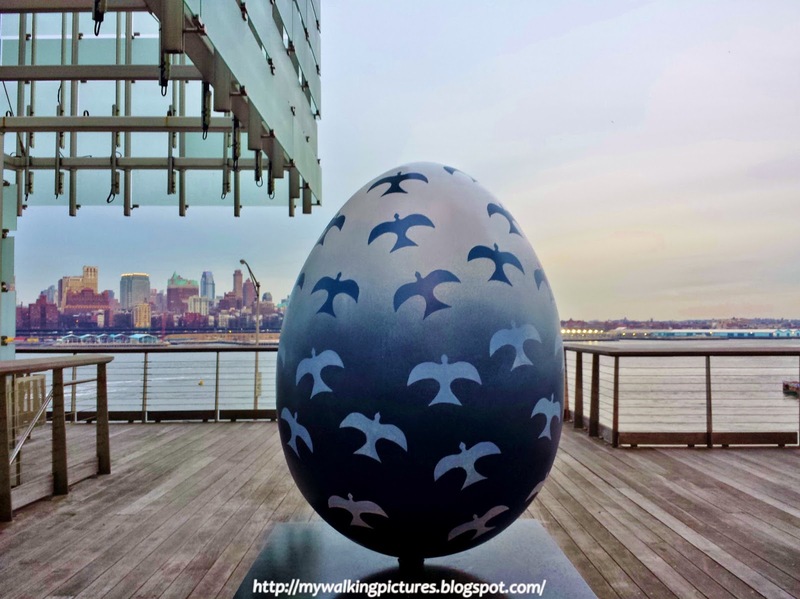 I walked further along South Street to go to South Street Seaport which housed six eggs. I love Egg 2, Twilight's Last Gleaming by Emery & Whitworth. By the time I reached the World Trade Center site, darkness has already set in. Egg 253 by David Salle was one of the eggs near Seven World Trade Center. 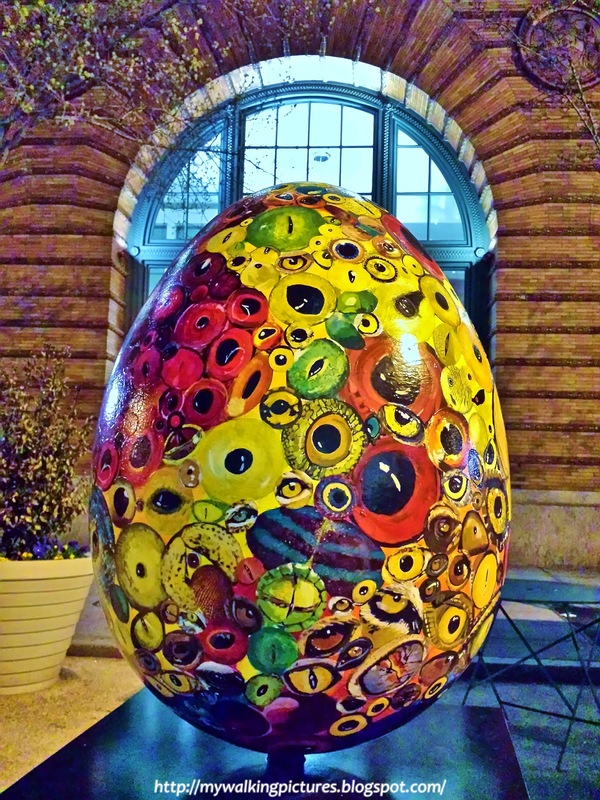 Outside the Winter Garden in the nearby Brookfield Place, five more eggs were displayed. Antonio Murado's Leela or Egg 267 looked pretty overlooking the lights of New Jersey across the river. Looking up from where the eggs were displayed, One World Trade Center and the buildings in Battery Park City were lighting up the skyline. And I got the chance to take a photo of the Winter Garden atrium at Brookfield Place at night. I can clearly see the palm trees! 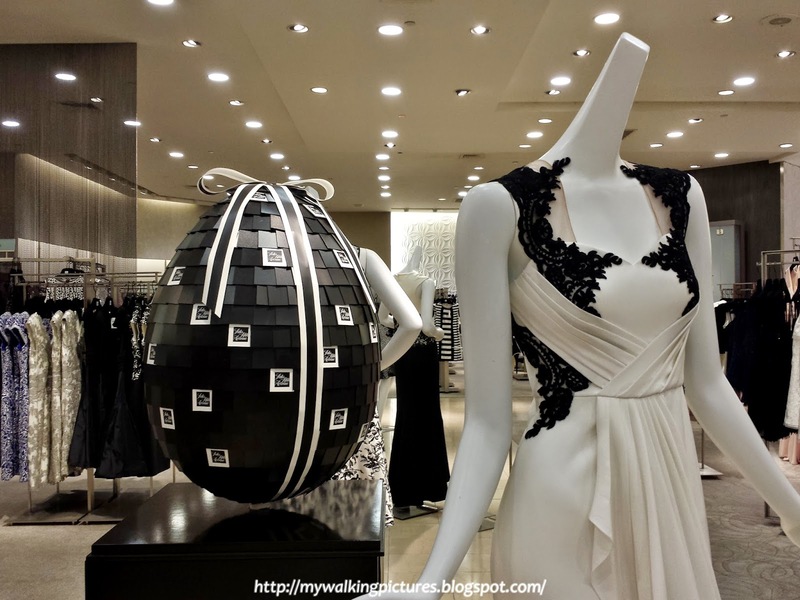 The following day I was at Saks Fifth Avenue which housed nine eggs. There was even one designed in-house by Andrew Winton, I could see several of the store logo peeking out of Egg 210. I love the details of Healing Blossoms or Egg 207 by Ran Hwang. 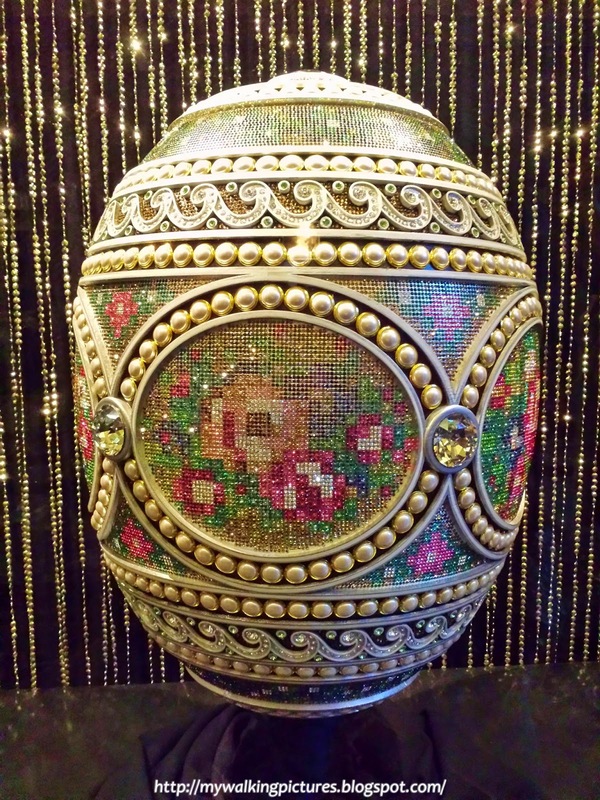 What looked like cherry blossoms adorning the egg were actually buttons in different sizes pinned to the egg. Very creative! Across Saks is Rockefeller Center and I decided to visit the eggs there again as I wasn't able to crack some of them during my previous visit. It was raining that night and it was very much spring at the Channel Gardens with the tulip buds starting to open. Ralph Lauren's cowboy egg, Egg 203, seems to be the most popular egg as it was the one most cracked. It sure was one good looking cowboy-egg. Yeehaw! And look at the back part, do you like its jeans, too? 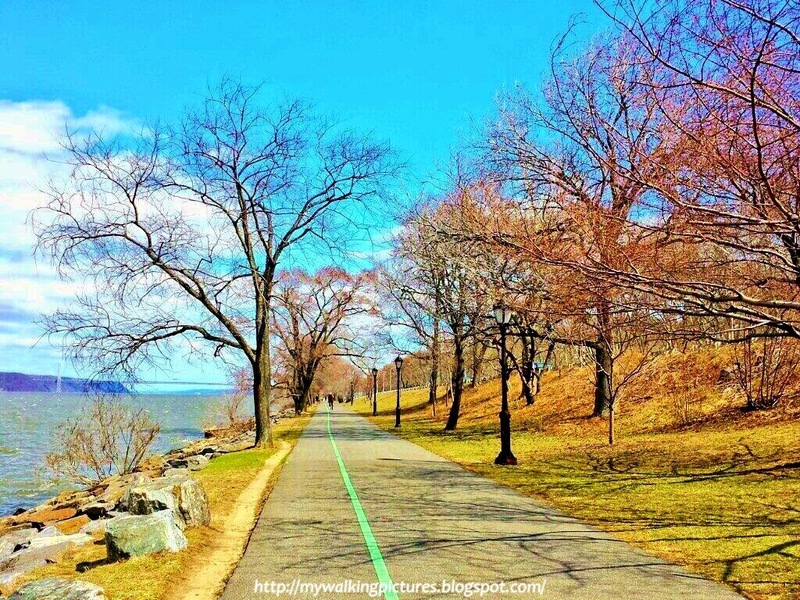 Day five of the egg hunt was the first weekend of the hunt but I had promised myself to join in a walk along the Hudson. I'll try to write about it the next time but it was a good 9 mile walk from 125th Street down to Battery Park. Took this pic at the start of the walk, the trees along the Cherry Walk were just starting to bud. After that walk, I went around lower Manhattan to hunt for more eggs. Found one of my fave eggs, Egg 3 by Bellerby Globe Makers. At Mercer Street I came upon Egg 190 by Waris Ahluwalia, the egg was hand carved from a single piece of Saur wood at Monkey River Studios in Bali. The finished product is beautiful! While I was taking a picture of the egg, a boy came near to scan the egg so I told him to go ahead. A lady was with him and told me to finish my shot since I was there first. The boy then asked if I have seen Egg 36. I haven't yet but when he mentioned the one with the butterflies, I recognized it as it was one of my faves from all the pictures I saw. He then said his lady companion was the one who designed it. Nice! Another favorite egg is Benjamin Shine's All Ways New York. Egg 15 was constructed from 52 iconic NYC street signs and pays homage to the unique streets and locations that underpin the diversity of the city. So where did I go after this? 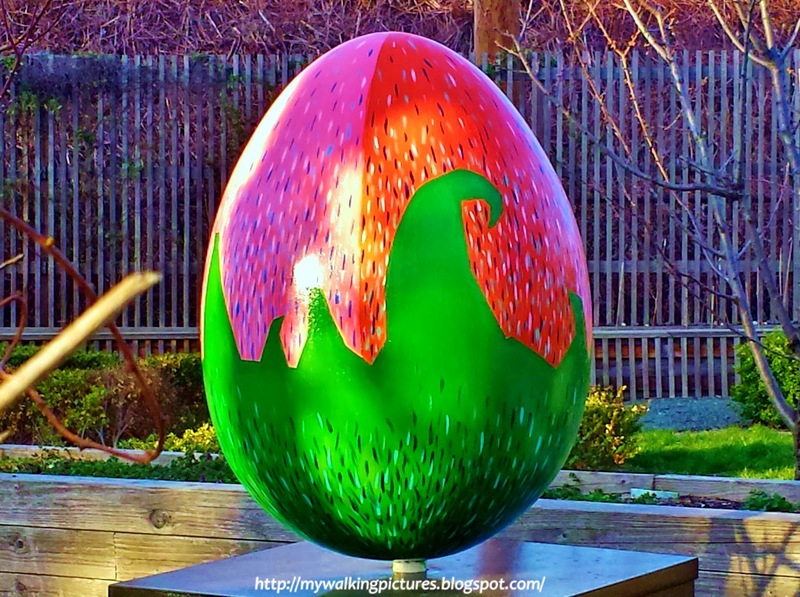 I will continue my adventures in egg hunting on Part 2 of this blog.